This item has been discontinued by the manufactuer. 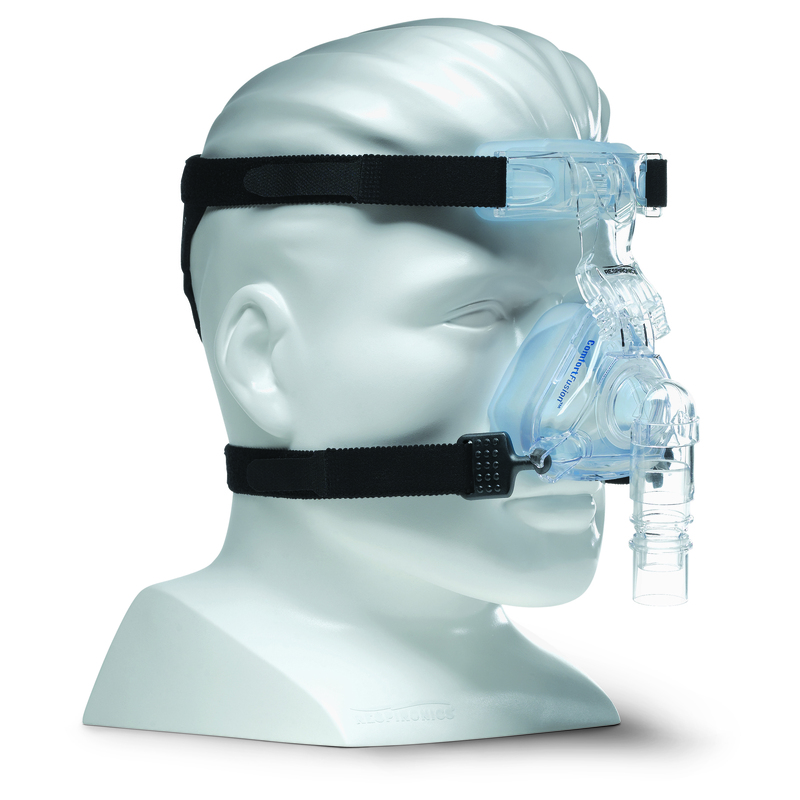 Great news, Respironics has released their latest Nasal Mask in the Comfort Series. Click the following link to view the mask. The Philips Respironics Comfort Fusion CPAP Nasal Mask with headgear is an innovative, yet classically-styled CPAP mask that was designed to bring comfort, seal, and mask stability to CPAP users. Combining Respironics' years of CPAP mask design experience with the need for a comfortable CPAP mask at a good value for you, the Respironics Comfort Fusion is a mask that will be a great choice for a large number of patients. A superior seal is achieved through the pairing of a soft, replaceable cushion with the forehead StabilitySelector, an exclusive Respironics feature that raises and lowers the mask at the bridge of the nose to ensure optimized angle, seal, and fit without adding extra pressure to the face. A premium soft forehead pad and Fusion headgear increase comfort and decrease the risk of pressure point pain and sores found in less comfortable CPAP masks. The soft latex free cushion provides maximum seal with limited tightening of the headgear. The Respironics Comfort Fusion is an excellent choice for CPAP users who have pressures between 4 and 20 cmH2O either on BiPAP or CPAP therapy. Replacement cushions can be purchased to ensure longevity. 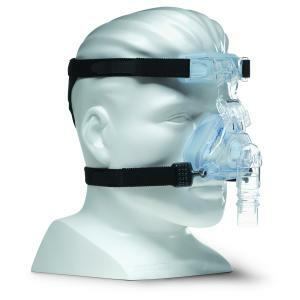 This CPAP nasal mask is also easy to maintain.